When the story of Job is preached from the pulpit of modern day churches, popular themes and lessons to be learned always seem to fall under the category of having faith in God in good times and bad. This is the typical approach of interpretation to many accounts in the Old Testament, and the same rings true with the book of Job. However, it seems as though this particular account stands out from the rest in that the dynamic of traumatic events placed on one individual is seemingly unmatched in severity up until this point in Biblical history. Why is this devastating account of death, loss, and misfortune in the Hebrew Bible? What is its place, and what are the theological stakes being made in the text? To put it simply, I think the argument can be made that the account of Job serves its purpose by emphasizing the necessity for humankind to have a divine being woven into its story throughout time. Divine characters are often viewed as explanations to the unexplainable, answers to evil and devastation, and hope to a seemingly hopeless situation. Throughout each biblical account we have read and discussed in class thus far, God time and time again seems to hold the position of the ‘go-to guy’ when things don’t go exactly according to plan. We saw this when Moses approached Pharaoh in Exodus as he liberated the Israelites from captivity with a little Divine intervention, again in the book of Joshua when the army of the Hebrew nation defeated the walls of Jericho with the assistance of the Holy, and finally in the book of Job as the title character struggles with the destruction of everything that was of value to him. God remained the steadfast individual throughout the text for Job, as he internally battled his loss. The theological moral of this account essentially reiterates that which has already been established; that the path which includes the Divine is better than one without. The book of Job presents this ideology more matter-of-factly than previous encounters of struggle, and thus leads a religious reader to conclude the beneficial aspects of leading a life with this mindset. After all, if Job could do it through the extremities of his situations , why can’t we? After considering these things the question still remains, why is there evil? In the case of Job we see a clear picture of why such atrocities are a part of his life, even before they happen. Satan plays a starring role in this text when God gives him blatant permission to test Job’s faith in the harshest of ways. In chapter one of the book it says, “The LORD said to Satan, ‘Very well, then, everything he has is in your power, but on the man himself do not lay a finger.’” (Job 1:12) From God’s response, the audience can tell it is going to be a bumpy ride for Job from here on out. His wealth, family, and health are all stripped away from him through the power of Satan, in desperate attempts to get Job to verbally denounce God as ‘go-to guy’ as his help in time of need. Though Satan’s efforts cut right to the heart, he ultimately fails at the opportunity of success that God hands him. The audience can undoubtedly see the source of evil in Job’s life, but what about the rest of us? I think this particular account leads the audience to ask one question more so than another. Instead of why there is evil, the story of Job provokes questions and answers of how there is evil. Ambiguity lies in the notion of God being the creator or initiator of evil, but from this narrative we most certainly know that he does not stop it. From a biblical perspective, it is evident that the Divine has control over when ‘good’ things happen just as much as when ‘bad’ things happen. One question that is ultimately difficult to answer is, what is the source of this evil? The book of Job leaves us with answers that are specifically relevant to the title character’s predicaments, yet provokes further questions of how it can be applicable to modern day devastation and injustice. 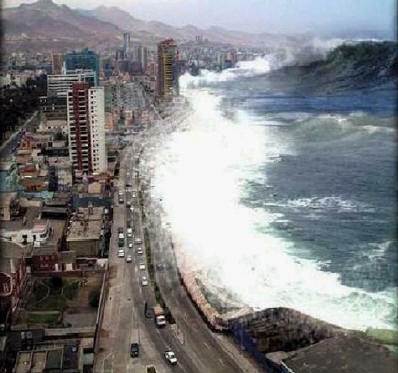 In recent news, an 8.9 magnitude earthquake and a subsequential tsunami hit Japan with powerful forces which will not soon be forgotten. Hundreds are dead, thousands more are injured, and the clean up of this natural disaster will take billions of dollars and years of rebuilding to regain lost infrastructure. The search for the source of catastrophes that are presented in Job are again resurfaced in present day societies as we struggle to identify why events, such as the earthquake and tsunami in Japan, take place. If there is a higher being who has dominion over such things, why is does the choice continuously favor that of the evil nature? Job had the same questions, and God’s rebuttal was anything but silent. Beginning in chapter 38, God lays down the law without any reservation to Job. He describes his power and authority over all things he created for chapters 38, 39, 40, and 41. Needless to say, God seems to be long winded when it comes to defending his authenticity of supremacy. Job’s famous response to this 4 chapter rant from the Divine is, “My ears have heard of you, but now my eyes have seen you.” Whether Job literally saw God, or just had a deeper understanding of His power after exercising his listening skills, Job understood that it was not his place to ask God why events play out the way they do. Rather, the spiritual journey of faith in a higher being, and overcoming the temptations of religious forfeit is perhaps God’s reasoning for allowing devastating events to happen in Job’s life as well as modern day society. Maybe this is one reason among many of why God acts the way he does. 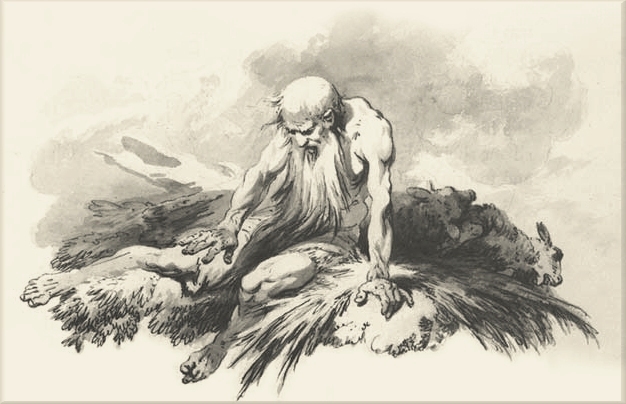 A glimpse into His reasoning in the book of Job perhaps provokes more questions than answers of the discussion regarding good versus evil, yet still enlightens the audience about the nature of his character. This entry was posted in Class Discussion. Bookmark the permalink.